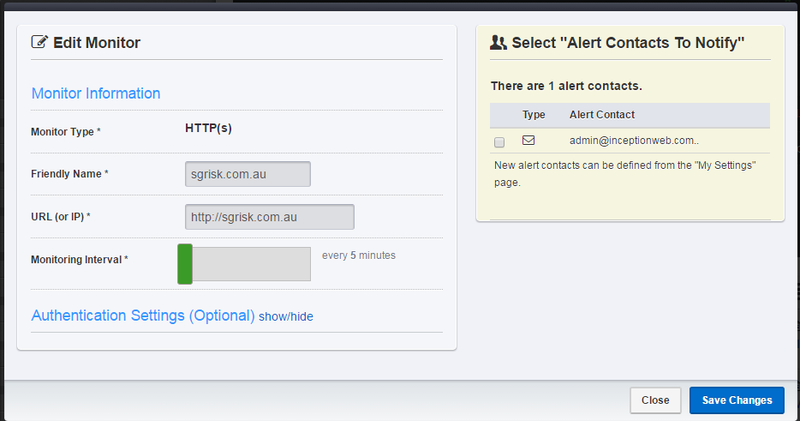 How to Monitor Your Website so it’s 100% Available and get notified if it goes down! We use this service to monitor all our client websites to make sure they are always online and it sends me an email if one goes down. Once you have an account, click Add New Monitor. Then enter the website details. We use 5 minutes monitor so we see it first if it goes down before our clients. Then save changes, thats it!